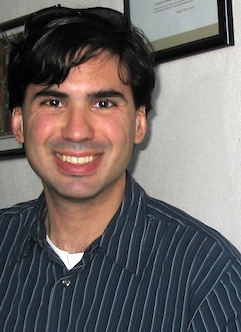 Juan Pablo Hourcade is an Associate Professor at the University of Iowa's Department of Computer Science, and a member of the Delta Center. His main area of research is Human-Computer Interaction, with a focus on the design, implementation and evaluation of technologies that support creativity, collaboration and information access for a variety of users, including children and older adults. Dr. Hourcade is in the Editorial Board of Interacting with Computers, Foundations and Trends in Human-Computer Interaction, and the International Journal of Child-Computer Interaction. He is editor of the Universal Interactions forum for interactions magazine. Dr. Hourcade is very fortunate to have been able to attend every Interaction Design and Children (IDC) conference. He was Co-Chair for IDC 2013. He also continues to be involved with the wider human-computer interaction community serving as Papers Co-Chair for CHI 2016.